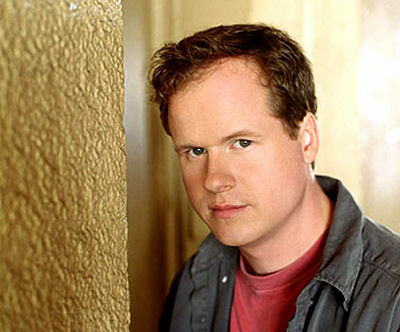 Joss Whedon is now working with Tom Cruise. Horrors? Yes! Here's something you don't see every day: Buffy the Vampire Slayer creator Joss Whedon sitting down with Mission: Impossible star Tom Cruise to talk about horror movies. But that's just what happened, Whedon told SCI FI Wire in an exclusive interview. Whedon, who wrote the upcoming horror movie Cabin in the Woods with former Buffy writer Drew Goddard, met with Cruise as head of United Artists, since MGM owns a majority stake in UA and the film was developed with MGM. "We met with him to hear his suggestions, sort of his take on it," Whedon said in a Dec. 6 interview in Los Angeles. "But it was already sort of in the pipeline when they bought it; that was the idea. We're in preproduction. We start shooting in March, so the train has left the station, and so we're just sort of, well, we're filling up the train." The movie was shepherded by Mary Parent, chairman, worldwide motion picture group, at MGM; she was an advocate of Whedon's back when she was at Universal Pictures, which produced Whedon's Serenity. Goddard will helm the movie, which Whedon has previously said will be the horror movie to end all horror movies. Look for casting news soon. Visit mobile.syfy.com/wire on your mobile device. ©2010, Syfy. All rights reserved.